At the age of 30, with his career in free fall, Kevin Bacon dropped to his knees on a busy New York City sidewalk and, as he told The Telegraph in 2013, cried to his wife, “I can’t believe I’m doing a movie about underground worms!” This would have been in 1989 or 1990, around the time that he was cast in a silly-seeming Western/sci-fi/horror/comedy film called Tremors that featured ravenous subterranean monsters called “graboids.” Now, 25 years later, Bacon is not only starring in, but executive producing a TV series based on that oddly resolute cult film. 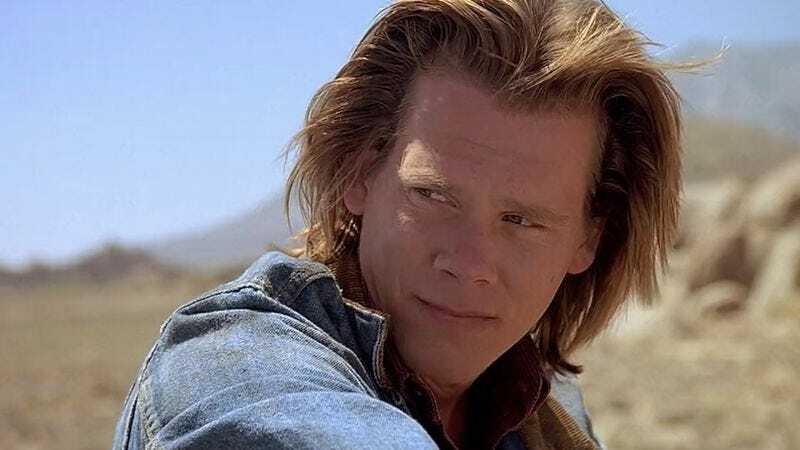 Though he sat out all four sequels as well as the short-lived TV series which aired on what was then known as SciFi in 2003, Bacon is now on board to reprise his role as Valentine McKee, the character he originated in Ron Underwood’s 1990 original movie. The show, currently being penned by The Secret Circle’s Andrew Miller, has not yet been grabbed by a network.